Nicole was a budget savvy bride from Australia looking to showcase her elegant style while Olivia was looking for something inexpensive and unique that would show off her own hippie style. Both of these women found the affordable wedding invitations of their dreams with ForeverFiances. Even better for both of these women was the fact that these invitations were able to show off their green values and their love for the environment. The invitations they found from ForeverFiances were 100% recycled and embedded with wildflower seeds so their guests could support the environment as well. If you're like most brides, you probably don't have a large budget for your wedding. But just because you can't afford to spend a lot doesn't mean that you don't want something special. 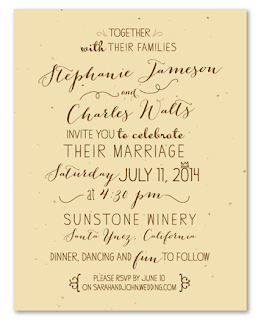 You still want elegant and unique invitations that will show your guests something they've never seen before. That's definitely what you'll get with the many options you'll have for affordable wedding invitations from ForeverFiances. 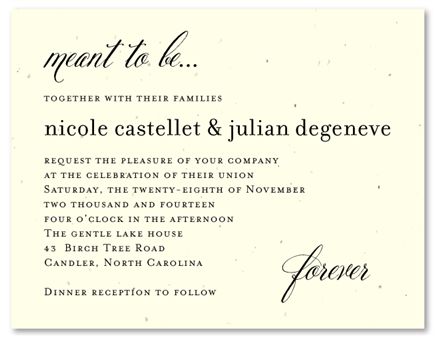 If you're like Nicole and Olivia you can find some beautiful garden invitations but those aren't the only options you'll have. 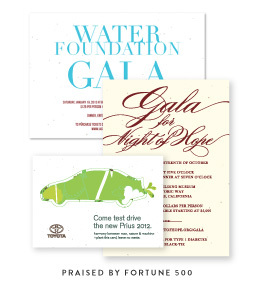 Our affordable invitations come in all different styles. Beautiful invitations, thank you's, save the date's, reply cards and menus are some of the important things for any bride-to-be. You want your entire wedding to be perfect. Finding gorgeous paper products at smart, budget-friendly prices is one less thing you'll have to worry about and that's what you'll get when you choose from the many options of trees, flowers, and even rustic or mountain scenes available from ForeverFiances. These invitations are completely customizable for your wedding colors and whatever you'd like to say to your guests and there's definitely one that will fit the theme of your wedding and your own unique style as well. Just like Nicole and Olivia, you'll be able to find the perfect one for your special day. 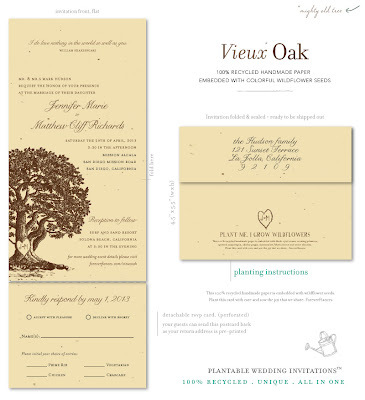 When you choose ForeverFiances for your affordable wedding invitations you'll be getting an award winning, handmade invitation that is popular and available all over the world. Nicole found them and loved them from all the way in Australia and people in all different countries know and love them as well. 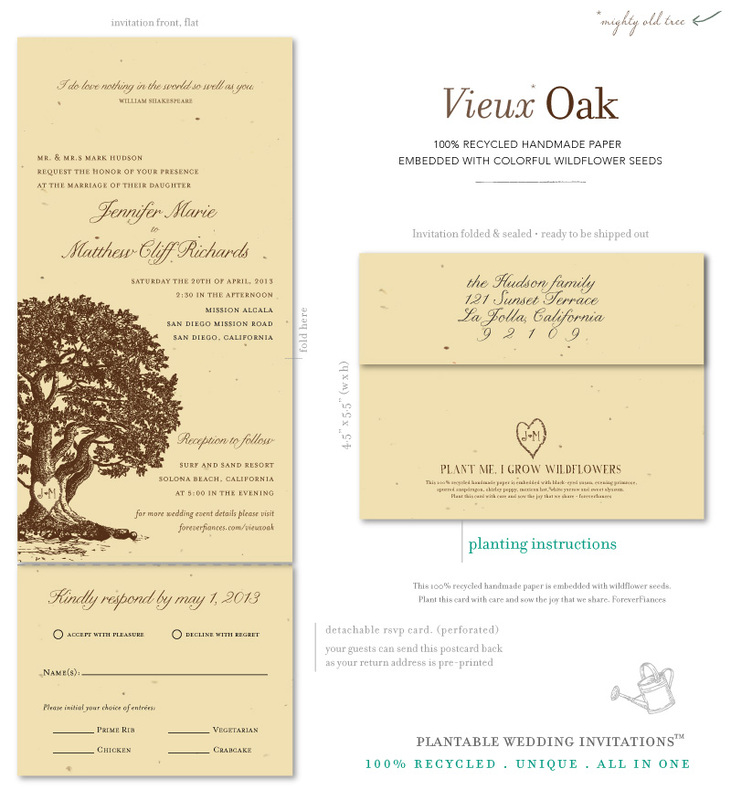 These completely organic invitations will not only depict a beautiful garden but they will grow one as well. You'll have something unique, beautiful, and economical that supports your love and respect for the environment and planet Earth all at the same time. You definitely can't go wrong with that. Betsy and Jennifer have each picked out their mountain wildflower wedding invitations for their Colorado destination weddings. Betsy is originally from wine country in Palisade, Colorado and Jennifer is from Crested Butte. 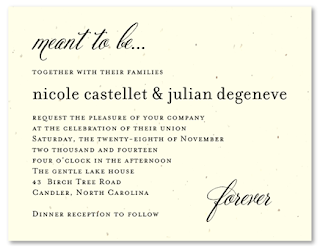 They both wanted a wedding invitation that would reflect their home state and the beautiful landscapes there, and that's exactly what they got with these unique wedding invitations from ForeverFiances. They were able to get a completely unique and handmade invitation on 100% recycled paper that reflected the beauty of the state that they call home and that they were inviting their guests to. Betsy is from the Western Slope and wanted something that would depict those beautiful mountains that Colorado is so famous for while Jennifer wanted something a little more elegant with flowers and trees. 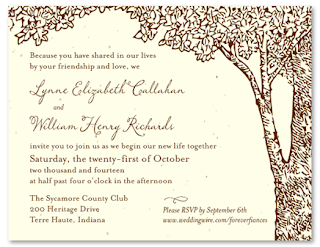 Both were able to get exactly what they wanted and were able to personalize their invitations to match their weddings. They even got to choose all the wording and found matching thank you cards, save the dates, reply cards and more because ForeverFiances carries the entire line of paper products for all of their designs. ForeverFiances has a whole range of destination wedding invitations so you will definitely be able to find one that matches your destination and the things that you love. Whether you're getting married on a beautiful beach or in a hunting lodge, in a vineyard or on a boat, you'll be able to find some of these beautiful invitations that will match the style of your wedding. And they'll definitely be a marvel for your guests with their completely unique design. Because these invitations are handmade, no two will ever look exactly the same. Each of your guests will have a beautiful work of art whether it's the beautiful wildflowers festival from Crested Butte where Jennifer is from or the Western Slope where Betsy is from or even just beautiful outdoor landscapes you'll be able to get a gorgeous design that highlights everything you want for your special day. 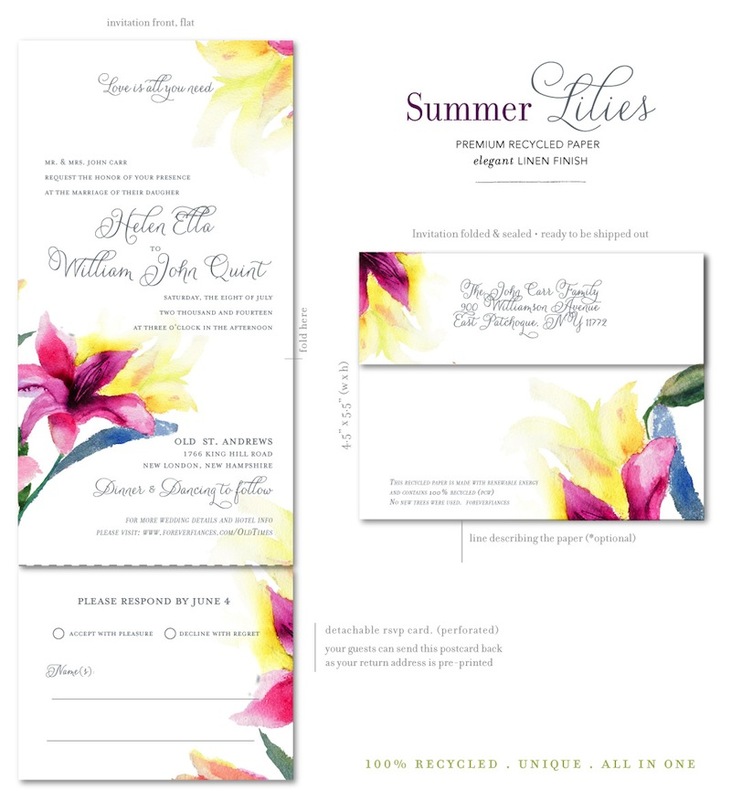 These invitations capture the beautiful of the outdoors and they promote the best way to keep the outdoors beautiful with their completely organic design and the fact that you can plant them to grow into beautiful wildflowers. You'll love how you can choose something elegant and outdoorsy at the same time when you choose from the destination weddings collection. Mountains, deer, Aspen trees, the Rockies, boulders, and wildflowers are the highlight of this beautiful collection and these mountain wildflower wedding invitations especially. 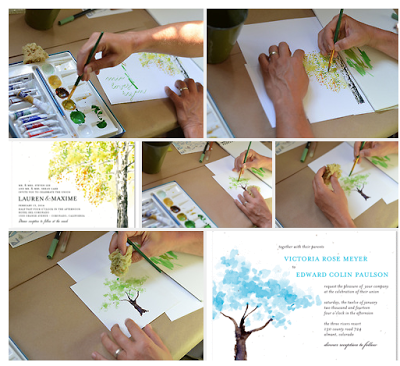 Victoria and Lauren have just decided on beautiful watercolor wedding invitations for their spring wedding. They are both artistic and loved the beauty and the handcrafted elegance of these invitations as well as the fact that each one is hand painted. Their wedding will feature beautiful soft colors and flowers, which is why these watercolor invitations were absolutely perfect. They provide an elegant and soft touch that fits in amazingly well with the season. Invitations from ForeverFiances are special in every way. These watercolor wedding invitations for example are made individually by hand. No two invitations will ever be exactly alike because they are hand painted by a quality artist that knows how to make the colors and the beauty of these watercolors shine. You definitely won't regret these amazing invitations and your guests will not be able to stop talking about them either. 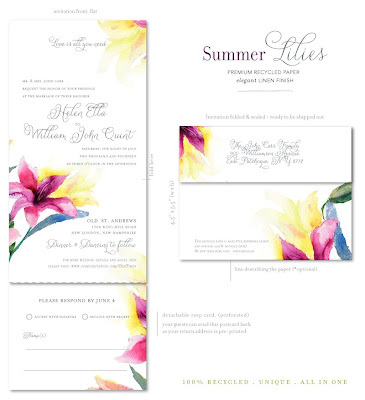 No matter what style your wedding will follow, you can find watercolor invitations that will fit. With images that range from clouds to trees, lighthouses to peacock feathers and everything in between, you'll definitely find something beautiful and perfect for your special day. And because each invitation is completely unique, you can be sure that your guests have never seen anything as special as these watercolor wedding invitations from ForeverFiances. 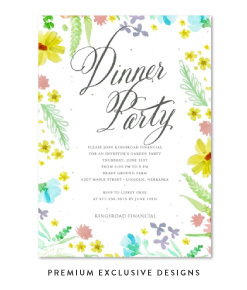 And the beautiful, vibrant colors on these hand painted invitations is not even the only great feature. Another great thing about invitations from ForeverFiances is that they are embedded with seeds that grow into gorgeous flowers or yummy herbs for your guests. So they get to enjoy the beauty of a handmade, completely unique watercolor invitation and then they get to plant it and watch plants grow. You'll be giving them something that they can enjoy in more ways than just one. When you choose watercolor wedding invitations, you're not just getting a piece of paper that your guests will throw away. Instead, you're getting something truly beautiful that they will love for its look and its usefulness after. And you'll be able to completely personalize it so that the colors and styles match your wedding and your tastes perfectly. 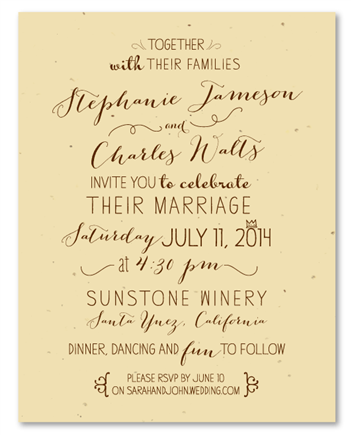 Don't settle for just any old wedding invitations. This is a once-in-a-lifetime event and you should treat it that way. Get something special and unique for your wedding. 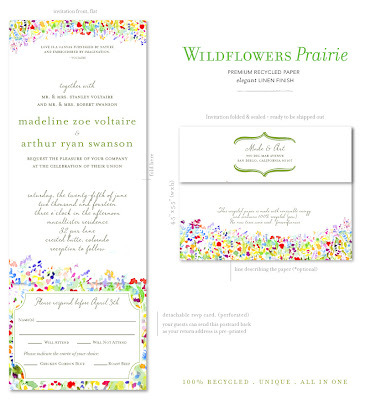 You definitely can't go wrong with these completely unique, seeded, watercolor wedding invitations from ForeverFiances. They will add style and elegance to any wedding.